I published my book “Packaging for Apple Administrators” one year ago. Flashback time (insert harp chord sounds)! The choice for the first topic was easy. Analysing and creating package installers is an essential skill for Mac Administrators. But it is also poorly documented. Apple has no real documentation on the package format on their website. Also no best practices. For years the Mac Admin community has been very helpful on guiding newcomers through the process, but in the end everyone relied some information transfer through “osmosis”. New admins would pick up bits and pieces on how to build packages, what to do and what not to do from posts in IRC and Slack, the occasional blog post and maybe a presentation or workshop at a conference. This was the perfect “low-hanging fruit” topic to start out with. After about six months of part time writing it was in some form that I was not embarassed too much about any more. That was last November. I have since pushed four updates to the books. (The first 1.1 update was to remove some placeholder text that was persisting in the default Glossary entries. The iBooks store reviewers don’t like that.) The other four updates have added two appendices, eight new sections and countless other fixes, extensions and clarifications. And everyone who bought the book got the updates for free. So keep expecting updates and new content! So what’s next? The obvious sequel for “Packaging” seemed to be “Automated Packaging” and would cover AutoPkg. The AutoPkg book is sitting, half-written, on my computer. However, it turns out that AutoPkg requires much more prerequisite knowledge. I found myself adding chapters and sections on other topics. 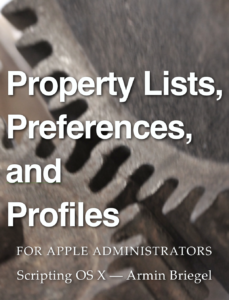 One of these topics grew enough that I published it as its own booklet: “Property Lists, Preferences and Profiles for Apple Administrators” or “PR3” for short. Also at that time (Spring 2017) the rumors of Apple drastically changing access to macOS, even (or especially) for administrators and their tools were rampant. Finally, Jamf was promising a great new “Patch” feature for the long-expected Jamf 10. All of these trends together might have invalidated the information in a book on AutoPkg (and maybe even the Packaging book). It seemed like a good time to put the AutoPkg book on the back burner and write about something else. I have written a lot of blog articles over the summer. I am currently sorting through them, filling in the sections and chapters and trying to assemble useful books from them. I have also presented at MacSysAdmin in Göteborg and am looking forward to presenting at more conferences in the future. Finally, I recently started working as a System Engineer/Consultant for a Dutch reseller. While all this other work is limiting the time available for writing, I also expect it to inspire real-world experiences which should lead to better writing, both on this weblog and the books. So, one year after “Packaging”: the books are still being updated, the Macpocalypse did not happen and packaging is still a skill you need to have as a Mac Admin! Expect more books sometime in the future! Until then, buy the books I have! You may have already seen it in your iBooks app: the High Sierra update (v1.2) for my PR3 book finally cleared. There was a broken hyperlink in the book somewhere and that confused the automated verification system. Support was very helpful in helping me figure out the problem and fix it! You can learn more about the High Sierra changes for PR3 and the ‘Packaging’ book in this post. If you have already bought the book, you can check the ‘Updates’ section in iBooks to get it. Or you can go buy the book! macOS High Sierra (10.13) will be released some time tonight. There have already been many articles on many of the new features (or issues) in High Sierra, especially in my Weekly Newsletter. But how does High Sierra affect my books and information therein? The good news is: surprisingly little. There were many rumors and concerns in the build-up to WWDC this year, but the worst did not happen. I posted about my reaction to the news in WWDC here. Nevertheless, the tutorials in the books needed to be tested on High Sierra and there were quite a few changes that had accumulated over time so I threw those in as well. The advantage of digital books is if you have already purchased the books (Thank you!) you will get these updates for free in the iBooks Store (you might have to check in the ‘Updates’ tab). If you don’t have the books yet, you can go and buy them now and get future updates to these books as well! PR3 is still in review limbo, but should be through soon. (Update: Available now). 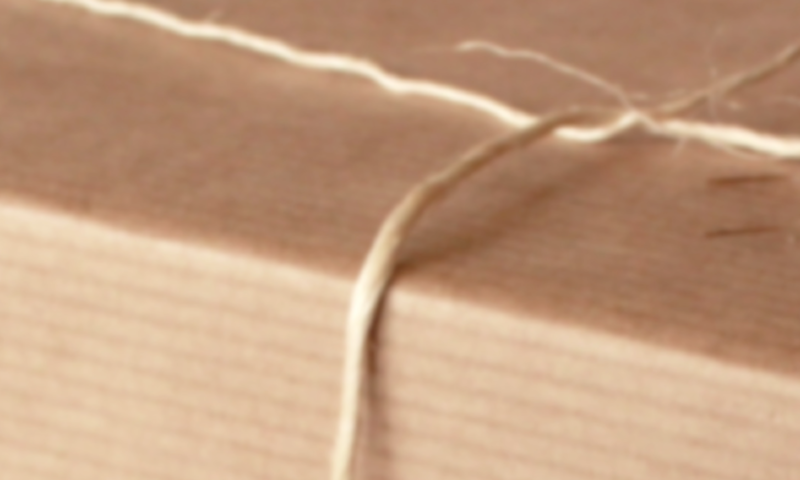 ‘Packaging 1.5’ is available on the iBooks store already! If you have already purchased books, all I ask in return for the free update of new information, is to go to the iBooks Store and leave a review. iBooks Store segregates reviews by territory, so every single one of them will be very important for other users to find and evaluate the books. The basic tools and methods for packaging in High Sierra have not changed. But since I had to go through the book to test all the examples again, I made quite a few minor corrections and clarifications. Note: The current version of Whitebox Packages, does not run on High Sierra. I believe there will be an update soon, so I did not change the section in the book to reflect that right now. a simple example on how to build Un-Installer scripts, something macOS does not automatically provide. based on this blog post: how to extract a component from a distribution package. Note: as mentioned before, PR3 is still in Apple review limbo. I will post as soon as it clears. (Update: it cleared!) If you haven’t bought it yet, you can buy the current version now and will get the update pushed in iBooks, as soon as it clears review! First, with High Sierra comes Swift 4, which brings a new Property List serialization API. I added new sample code to the Swift section for Swift 4. However, while the old syntax is considered deprecated the new version on High Sierra still supports it. So there is no reason (yet) to run out and change your scripts. Nevertheless, both versions are documented in the relevant section in the book. There is some new functionality in the new syntax (startup type profiles) and I assume that new features will only added to the new syntax going forward. As long as you still need to support Sierra Macs and older, you will have to use the old syntax or maintain both versions. And, like the Packaging book, while I was working through the examples in the books, there are many corrections, additions and small clarifications added. These commands are already quite different. pwd is a single word command. You enter it and it prints information (the working directory to the terminal). The command itself cd and the argument ~/Documents are separated by a space. This is why we have to treat spaces in paths and filenames so carefully, because otherwise the shell might interpret the path as two or more arguments. Finally ls has an optional argument. When you just write ls. it will list the contents of the current working directory. When you give an argument it will list the contents of that path. The ls command also has several options that modify its behavior. Mandatory arguments, on the other hand, are shown without the square brackets. When you want detailed information on a command, there are a few approaches. Because of the long and diverse history of shells, bash and macOS in particular, not all commands support all of these options. Behavior here can be very inconsistent. First, as we just saw with ls, some commands will print a brief usage note, when you enter something that the command cannot parse. The usage message is commonly very brief and usually does not explain all the options. To get more detailed in information on command you can read its man page. man pages are documentation, often very detailed, stored in an file format optimized for display in ASCII terminals. This will take over the current Terminal window and display the information. This special display mode is actually controlled by another command called less. There many key commands you can use for navigation in this mode. You can also scroll in this mode with the mouse wheel or two-finger scrolling on a trackpad. You can also open man pages in terminal from the Help menu. When you enter a shell command in the help search field of Terminal it will suggest a man page, when one is available. When you select a suggested man page, it will open in a new yellow window. You can modify the appearance of the man page window by changing the ‘Man Page’ window profile in Terminal’s Preferences. You can also open a man page by selecting text and choosing ’Open man page from the context menu. Some commands are ‘built-in’ to the bash shell. These do not always have man pages. Requesting the man page for a built-in command will show the man page for builtin instead. cd is one example for a built-in command. We just learned that some commands, like cd, are ‘built-in’ to the shell. Others are not, so what and where are they? All commands are files in the file system. They have a special file privilege set which makes them executable. Obviously, you cannot make any file executable, it has to have some form of code which makes sense so the system can interpret it as commands. However, you do not have to type /bin/ls every time you want to execute ls. How does the shell know where to look? Note: commands and variable names in the shell are case-sensitive. It is convention that environment variables are written in all-caps. You have to use the correct case for the PATH variable to get or set the proper value. prints ‘hello’ back to the terminal. This alone is rarely useful, but can be used to get at the results of another process. The $(( … )) means ‘evaluate this arithmetically,’ so this command prints the result of this arithmetic to the terminal. In general in bash the $ stands for ‘substitute contents.’ echo $PATH means: print the contents of the PATH variable. bash will interpret PATH as a literal string and prints it to the terminal. The actual contents of the PATH variable is a list of directories separated by colons. The order of the directories in the PATH is important as the shell will stop looking when it finds a command. When you enter a command without a path, e.g. ls, bash will start looking for the command executable in /usr/local/bin, then in /usr/bin, and then in /bin, where it will find an executable ls, stop looking and execute that. Note: if there were another executable named ls in a later directories it would not be used, since the shell will stop looking at the first match it finds. Changing the order of the standard directories in the PATH or even inserting other directories earlier in the PATH can lead to unexpected behavior. The PATH on your system may be different when you have extra software installed. Xcode, Server.app, Xquartz, munki, Python3 and many other software packages insert paths to their command directories in the search path. Note: some software solutions will attempt to modify the PATH on a system to make their commands available to the shell, other will place the commands or links to the commands in /usr/local/bin to make them available (e.g. text editors like BBEdit or Atom). We will look at strategies to on how and why to modify the search path later. Some third party solutions will instruct you to modify the PATH to include their commands rather than doing it during the installation. These are commands that are usually considered too uncommon or maybe even dangerous to put in the standard search paths. When you need to execute a command or script in the current working directory, you have to start the command with ./, so the shell knows to not look in the search path. Remember the . is a shortcut representing the current working directory. You can use tab-completion for commands as well. This will speed up your typing and prevent typing errors. You can use this to get a list of all the commands available in the shell. At an empty command prompt hit the tab-key twice. Then shell will warn you that there are many completions (more than a thousand, depending on your version and configuration of macOS. Note: compgen is the command that bash runs to determine which commands are available for tab-completion. You usually would not interface with it directly. There are a group of characters that have special meaning in bash. The space character is a legal and often used character in file names on macOS. However, in bash and other shell commands , a space character (and other whitespace characters) separates a command from an argument and the arguments from each other. To convince the shell that ‘/Library/Application Support’ belongs together, you can either ‘escape’ the space character or ‘quote’ the path. Experienced users who have worked in a UNIX environment for a long time tend to avoid these special characters in filenames. However, as a system administrator, your users will probably not heed any rules you may want to impose. You will have to deal with many possible combinations. In bash (and in Unix in general) files and directory names cannot contain a forward slash / since the character is used in paths to separate directories. However, Finder lets you name a file or folder with a forward slash, e.g. ‘Yes/No’. On the other hand, Finder does not let you name a file or folder with a colon :. The underlying HFS+ file system uses the colon as a separator. This conflict is solved by translating a / in the Finder (and underlying file system) to a colon : in the shell and vice versa. Note: some characters that are legal on macOS might not be on file servers, which are usually hosted by other operating systems. In bash you can use single quotes ' or double quotes " to quote paths. Single quotes are more effective. Any character in single quotes is used as is, with no special function. Even the backslash character has no special function. The only character you cannot use in single quotes is the single quote itself. Double quotes " are ‘weaker’ quoting. Double quotes remove the special function from all special characters except $, `, \, and !. Within double quotes you can use the backslash to escape $, ", `, and \ (but not the !). In general, single quotes are most useful and easiest to use. However, you cannot use single quotes when the filename contains a single quote. Double quotes still require some characters to be escaped with the backslash and cannot deal with an exclamation mark !. Backslash escaping works in nearly all cases, but can be tricky to type right and is quite illegible. My Great Folder My\ Great\ Folder 'My Great Folder' "My Great Folder"
“New” Files \"New\"\ Files '"New" Folder' "\"New\" Folder"
‘Old’ Stuff \'Old\'\ Stuff cannot escape ' "'Old' Stuff"
Important! Important\! 'Important!' cannot escape ! Bump \m/ Bump \\m\: 'Bump \m:' "Bump \\m:"
Project (Old & New) Project\ \(Old\ \&\ New\) 'Project (Old & New)' "Project (Old & New)"
When typing paths, always use tab completion to be safe. Tab completion uses backslash escaping by default. However, when you start a quoted path, tab completion will complete in quoted form. Since you generally use quoting to avoid bash changing characters, you cannot use the ~ to get a short cut to your home directory in quotes. $ cd "$HOME/Project (Old & New)"
Your output will be different. Unless your name is also armin, the path will end with your user name, not mine. Depending on the configuration of your Mac, your path might be entirely different. pwd is short for ‘print working directory.’ It shows the folder this shell is currently working in, much like a Finder window displays the contents of a certain folder. On macOS, Terminal will also show the working directory in the window title bar. A path starts at the ‘root’ of the file system, which is shown as simply /. On macOS the root of the file system is the top level of the volume or disk with the active system, i.e. the current startup volume of the Mac. Note: The file system root / should not be confused with the system user root. This path tells me (and the shell) that there is a file ‘hello.txt’ in a folder ‘Documents’ in a folder ‘armin’ in a folder ‘Users’ on the root of the file system, the current startup volume. Note: Finder in macOS and other graphical interfaces use the word ‘folder.’ Unix and other command line shells use the word ‘directory.’ They are the same. You can refer to files and folder relative to the shell’s current working directory. When using relative paths, there is no initial /. refers to the file ‘hello.txt’ in the current working directory. refers to the file ‘hello.txt.’ in the folder ‘Documents’ in the current working directory. Relative paths do not have a leading / and are relative to the current working directory. Full paths start with a / and are based in the file system root. Full paths are also called ‘absolute’ paths. It is surprisingly easy to lose track of the current working directory. You can ask the shell for the current working directory with the pwd command. Use the cd command with a relative path Documents and the shell changes it working directory there. The pwd command prints the full path of the working directory. You may have noticed that the prompt displays the name of the current directory. This helps you remember your ‘bearings’ in terminal. Terminal on macOS will also display the current working directory in the window title bar. You can open a second terminal window by selecting ‘New Window with Settings – Basic’ from the ‘New Window’ menu in the ‘Shell’ menu. It is easier to remember the ⌘N (command-N) keystroke. If you prefer you can also open new shells in a new Tab with ⌘T. The second window or tab will start a second, new bash shell. This shell is entirely separate of the first bash shell. Different shells will have different working directories. They are very much like different windows showing different folder contents in the Finder. According to the prompt current working directory is ~? The tilde ~ is a special character in bash and other shells. It is a shortcut for the user’s home directory or home folder. On macOS a user’s home directory is created in the /Users directory with the user’s short name as the directory name. So if my short name is ‘armin’ my home directory is /Users/armin. So the ~ in the prompt says the current working directory is my home folder. Note: It is important that the shell will actually substitute a ~ with the home directory path before executing the command. You don’t have to use this, though, since cd without any arguments, will change to your home directory. Since ~ is replaced with an absolute path to the home directory, paths that start with ~ are absolute as well. You can change the working directory into subdirectories and you can change to absolute paths. You also often want to move up one level in the folder hierarchy, to the parent folder of the current folder. In bash (and most other shells) two periods .. represent the parent directory of the current working directory. ../.. designates the parent directory of the parent. ../../.. goes up three levels, etc. Note: if you cd / and then cd .. nothing happens. To assist orientation, cd - will print the full path to the directory it is changing to. Typing paths is tedious and error prone. Errors in paths can lead to simple errors and frustration, and sometimes typos can have catastrophic results. When you are typing commands, file names or paths in bash, then you can use the tab key ⇥ to save keystrokes and avoid typos. Using tab-completion not only saves keystrokes and time, but also reduces the potential for typos and errors. You may have noted that tab completion did something strange to the space in the path of the ‘Application Support’ folder. There are many special characters that you have to deal with in the shell. Space is one of them. We will learn how to deal with space and the other special characters in the next section. Note: commands, arguments and file names in bash are case-sensitive. However, since the macOS filesystems (HFS+ and APFS) are case-insensitive by default, you may want to switch tab-completion to be case-insensitive as well , too. The next command is ls, which is short for ‘list’. This command will list the contents of the current working directory. The contents of your home directory may be different. To use the space efficiently ls prints the files and folders in multiple columns (the number of columns depends on the size of your Terminal window). This simple list can be very useful to lookup file and directory names. However, you cannot tell the difference between files and directories in this list. This version of ls output will add a slash ‘/’ to directories and an asterisk ‘*’ to executable files. Normal files (documents) will have no extra character. In this command the -F is an option for the ls command. Options are a special kind of argument. Options usually start with one or two a hyphen characters - and are followed by a letter. Generally options work like switches to turn certain features of the command on or off. Since the shell is case-sensitive the options -F and -f are different. will list the contents of the Desktop directory without changing the working directory. You can combine options and an argument. When you do that you usually put the options before the argument. The default output of ls is very terse. You can get more information by adding the -l (lower-case L) option. There are more options that you can use with the -l option. For example the -h option will show file sizes with B (bytes), K (kilobytes), M (megabytes) etc. instead of raw bytes. You can also combine -l with -G and/or -F.
drwxr-xr-x+ 15 armin  staff   510 Jul 18 15:30 .
drwxr-xr-x   7 root   admin   238 Jul 19 08:35 .. In UNIX files and directories that start with a period are commonly used to store configuration data. The first two entries in this list are . and ... We already know that .. represents the parent directory (in this case of the directory listed). The single period . is another convention that represents the current directory or (in this case the directory listed). This can be useful to see the file mode and owner of these directories right here. Note: Finder also follows this convention and hides ‘dotfiles’ by default. You can learn more about hidden files and folders in this article. pwd prints the current working directory. cd changes the working directory to another. changes the working directory to the parent directory. The tilde ~ represents your home directory. You can use it alone or to start a path to folders and files in your home directory. The ls command has many options. The most commonly used are probably -l to show a detailed list of the files and folders and -a to also show the files and directories starting with a period, which are usually hidden. On macOS you can find the Terminal application in /Applications/Utilities/. There is a shortcut in Finder’s Go menu to get to the Utilities folder or use the keystroke ⌘⇧U. Terminal has a distinct black icon with a white prompt. However, since you are reading this book, you are planning to use Terminal regularly. In this case, you really want to add the Terminal application to your Dock. At first it shows the computer name (as set in the ‘Sharing’ pane in System Preferences. After the colon ‘:’ it shows a tilde ‘~’. Then your user short name, followed by a dollar sign ‘$’. Finally a dark gray block, the cursor, waiting for your input. Note: if you have used Terminal before, you may have changed the default look of the Terminal and prompt. The functionality remains the same, no matter how it looks. You have typed the pwd command and executed it with the return key ↩. The return key confirms a command and runs it. When you mistype a command you can delete the last character with the delete or backspace key ←. You can also move the cursor through the characters you entered with the left and right arrow keys. We have already encountered a few different terms which may be very confusing in the beginning. The bad news is there are more terms, the good news is that it will all make sense eventually. All of these terms date back to the days when computing started with big mainframe computers. Since computers were scarce, complex and expensive, many users had to share access. They did this by typing and reading on a ‘terminal’ or ‘console’ — a dedicated device talking to the main frame. Terminals and consoles may have looked somewhat like like modern workstations and computers, but did not have their own CPU. They would just allow to enter and send commands and receive and display the results. Very early in the history of computing, terminals used mechanical printers or typewriters to show the results, these were called tele-typewriters or tty. The protocol that the mainframe used to communicate with the typewriters, was named tty as well. The protocol and its name have remained, long after the mechanical typewriters are gone. Later the mechanical interfaces where replaced by terminals with electric keyboards and cathode ray screens. The Terminal application on macOS is such a virtual terminal program. To confuse things a little, macOS also has an application called Console. The Console application on macOS is not a virtual terminal or virtual console, but used to display and filter log files. The terminal (whether virtual or real) only provides a means (virtual or mechanical) to enter and display text. It will display a ‘prompt’ which tells the user, that the system is ready and the user can enter a command, and a ‘cursor’ which shows where typed text will be displayed or inserted. There is another program which interprets the text, executes code and sends the output generated back to the terminal. This program (or class of programs) is called a ‘shell.’ A shell protects the user from the dangerous, complicated parts of the system and abstracts differences from one system to the other. Another way of looking at it, is that a shell protects the vulnerable, fragile parts of the the system from the user. There are many different shell programs. One of the earliest shell programs was call just ‘shell’ or sh for short. Surprisingly, sh is still around after nearly fifty years. On macOS the default shell is called bash for ‘bourne again shell.’ This comes from the fact that it was developed as a replacement for bsh or ‘Bourne shell,’ which was named after its main developer Stephen Bourne. You will notice that unix shells and commands often exhibit a particular style of pun humor. ‘bash’ is merely the beginning. Today, there are many different shells. Different shells have different ways of interpreting commands. 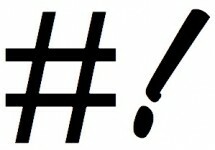 The choice of shell is a personal preference and can be (as many things in computing) the cause of passionate argument. Note: As system administrators, the choice of shell is not just determined by preference, but also practicality. There are a set of pre-installed shells on macOS and while it is possible to install additional shells, it increases complexity and management effort. Also when you are sharing commands and scripts with fellow administrators, bash is the commonly agreed upon shell. bash is available for most platforms and operating systems and is the default shell on many systems. Because of this prevalence bash is a good choice for your first shell. bash has been the default shell for Mac since Mac OS X 10.3 (Panther). It is also the default shell on most Linux distributions and was the choice for the Unix command shell on Windows 10. Note: the bash that ships with macOS is version 3.2.x. There is a newer major version: bash4. However, since bash4 is licensed as GPLv3, Apple still only includes the older bash 3.2. You can download and install bash4 if you want to, but many system administrators stick with the pre-installed version. We will be covering bash 3.2 here. Warning: When entering commands, you have to watch that you type the command exactly as given, including spaces and other special characters. Terminal and shells are a ‘pro’ tool and assume that you know what you are doing. They are not forgiving to errors. There are a few mechanisms that will usually protect you from ruining your system and data (and thus your day) entirely, but you need to always be careful and check. Note: As we saw earlier the default prompt shows more information. However, this information (computer name, user name) is different for every Mac and user. To keep things simple and short, when displaying terminal input and output, we will not show the entire prompt, but only the final character ‘$’. This designates the commands that you should enter in your terminal, without the ‘$’. Subsequent lines without the leading ‘$’ show output that you should expect from this command. Sometimes the output in this book will be abbreviated to make it fit the layout. Technically, ‘graphical user interfaces’ (GUI) which display files, folders and programs as icons in windows such as macOS, Windows, KDE, Gnome and even iOS and Android are also shells, since they shield the system internals from the user and vice versa. However, usually the term ‘shell’ is used for interfaces where the user has to type commands, or ‘command line interfaces’ (CLI). Command Line shells commonly have two major roles. The first is to interpret and execute commands entered in an interactive prompt and deliver the results back to the user. The second role is to interpret and process list of commands, called scripts. While scripts basically use the same set of commands as the interactive shell, scripts can also use control statements, loops, and variables which makes them a related task, but much more complex. In this book we will focus on the interactive part of bash. It is vacation time here in the Scripting OS X headquarters and I will be enjoying time off with family for most of August. Tomorrow’s weekly news summary will be the last until the end of August. I will keep track of interesting posts, and provide a big summary at the end of the month, though I will also be offline and lot probably miss something interesting. If you find any post or link you think is worthy, you can send to it me on Twitter or the MacAdmins forum (also scriptingosx) and I will make sure to include it. However, I did not want to go entirely dark during the month. To keep you interested, I will post a few sections from the book I am currently working on over the next week. They are still a bit rough and unfinished. These sections are from a chapter called ‘Terminal Primer’. They are much more basic than the series of Terminal tips and tricks I ran a few weeks ago. They are targeted to Mac Admins who are new to Terminal and bash. The book this chapter is from, will contain this primer, but also sections on how to use Terminal and bash effectively as a Mac Admin. Yes, I know, I have promised a book on autopkg. Which I am also still working on. However, while writing the autopkg book I realized that Terminal and bash skills are fundamental for Mac Admins and I feel I need to get it out of the way first. 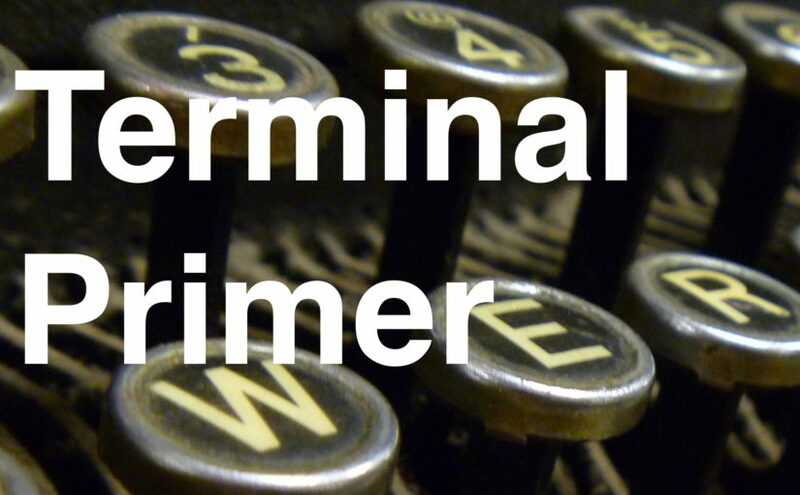 The Terminal Primer sections will be posted (automatically scheduled) on this blog over the next few weeks. Let me know how you like them or if you think something important is wrong or missing. You can give feedback in the comments, over Twitter or in the MacAdmins forum (also scriptingosx). Thank you for your interest and feedback! One of the advantages of digital books is they can be updated like software. This is one of the motivations I had for choosing iBooks as the format for my books. 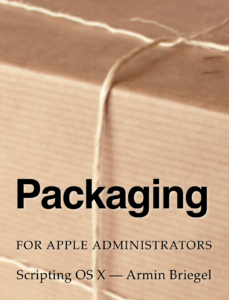 The latest update (v1.4) for ‘Packaging for Apple Administrators’ is now available in the iBooks Store. If you have already purchased the book, iBooks should notify you that an update is available. If you have not bought the book yet then you can get it now and future updates as well! The largest new part is the section on Jamf Composer. Composer is the packaging tool from Jamf, provided as part of the management application suite (or as a standalone). Composer has some strengths and many issues. The new section will walk through the process of creating packages with Composer and discuss the strengths and weaknesses and when other tools may be more appropriate. Another new section is the new ‘Packaging Command Reference’, which are two pages with the most commonly used commands for working with packages. The pages are also available as a PDF in the book’s resources so you can print them and keep them near your workplace for quick reference. If you like the book, please leave a rating on the iBooks Store. Your rating will help other admins find the book! Thank you! ‘Property Lists, Preferences and Profiles for Apple Adminstrators’ launches today! Go get it before the iBooks Store runs out of bytes! You can read more about the book in my pre-sale announcement post. The list is included in the book resources as a PDF, so you can print it and hang it above your desk. However, you can also download it directly here. And when you finish the book, please leave a review on the iBooks Store!